A house is considered to be a basic requirement for anyone, and the roof of that house plays a key role in ensuring its safety and stability. In addition to providing safety and comfort, a roof visually complements the house’s architecture. As a roofing company based in Saint Paul, we provide excellent services in the areas of installing and repairing high-quality roofs. 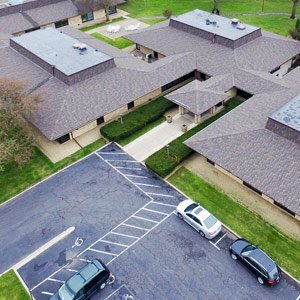 Our company provides you with a lifetime warranty on the roofing services you need, as well as a wide variety of roofing options to choose from. Having the right roof which fits your needs is a decision every household needs to make. Multiple factors come into play when deciding the type of roof one should install, some of which include cost, durability, and visual appeal. When it comes to durability, the decision needs consider the amount of heat faced by the roof and, along with that, it is also necessary to ensure that heavy rainfall is accounted for. Finally, the importance of visual aesthetics is usually understated. Our company will ensure that all of your needs are always taken into consideration, as well as providing you with a roof which adds value and style to your house. The main available roofing options, in increasing order of quality, are mentioned below. Are you looking for the immediate installation of a roof which is both aesthetically pleasing and not too much of a burden on your bank account? The asphalt shingle is a great pick! It adds value and boosts the visual appeal of your house by allowing you to choose from a wide range of colors and designs. It makes way for style, comfort and safety. It may not be the best option for a more long-term investment, but asphalt shingle roofs are easy and quick to install and offer great value for money. Along with the practicalities of the roof, it is necessary to look at the long-term payoff of your investment. The cedar shake is an ideal option if you are looking for a roof which is not only beautiful, but one which can withstand the pressure of a rough climate and wet atmosphere. The cedar shake is a great pick for any roofing Saint Paul MN as it contributes to the way most buildings have been constructed in the areaby using natural resources. 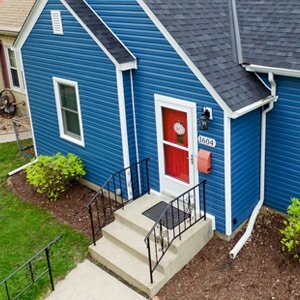 This type of roof is durable, safe, and definitely a good option if you are looking for something more durable than the asphalt shingles in the long-term. This is a one-time investment which would benefit you for life. The metal roofing’s strength and durability are remarkable. But, not only is a metal roof exceptionally strong but its performance is outstanding when it comes to face the outside environment. Not only is it fireproof, but it also stands out in extreme weather conditions. If you are looking for the ideal roof to protect your household, then the metal roof is your best choice. Pop over here to know The 3 Reasons Why You Should Hire a Roofing Contractor.